Acquiring your own hardware and software may not be necessary, see Services available to you below. UWare: Software you can download at reduced or no cost, thanks to various license agreements with software vendors. University Book Store Tech Center: The UBS Tech Center offers hardware and software at competitive prices. Managed Workstation Services: Networked computers and software centrally managed and supported by UW Information Technology. Powerful computers, massive storage, and sophisticated software are available for your use. Use your UW NetID to sign-up and access these UW-branded, ad-free Microsoft and Google services: UW OneDrive for Business: Document and presentation creation using Office Web Apps, file sharing, website creation. UW Lync: Instant messaging, presence (Busy, Available, etc. ), and conferencing. UW Google Apps: Email and calendaring; document and presentation creation, storage, and sharing; website creation; and instant message and computer voice calling. The Odegaard Learning Commons provides access to hundreds of Mac and Windows computer workstations. Technology spaces for videoconferencing, collaboration, digital presentation, media, and sound projects are available. UDrive, a central file storage for users, provides students, faculty and staff with a place to store files that can be accessed from anywhere, on- and off-campus. Web publishing on UW Central Servers gives you a place to build websites, run wikis, set up blogs, and more. SQLShare: Web-based application for data integration, analysis, and sharing that lets researchers get answers to their research questions without extensive programming or database knowledge. The Computer Vet in the Learning Commons in Odegaard Undergraduate Library can help with operating system updates, anti-virus software installation, and cleaning out infected computers. Health Sciences Academic Services & Facilities Computing Support provides a variety of support and repair services. HSAS&F can work on both UW computers and personally-owned computers. 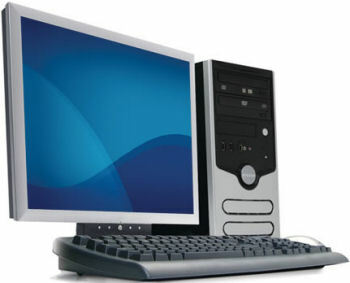 Many commercial computer maintenance services are available off-campus. Sophos Anti-Virus Software: Students, faculty, and staff can download Sophos and use it on their University-owned and personal computers. Electronic Equipment Registration: A registration service for personal equipment offered by UW Police. Equipment Insurance: University property and equipment (including laptops) is not automatically insured. Low cost coverage is available for UW departments.